Emily Weinman NJ beach punching video debate ensues. Emily Weinman NJ beach police punching in the head. Images via screenshot and Facebook. Victim? Emily Weinman NJ beach punching in the head video. Debate surfaces after a beachgoer is videotaped being beaten by a Wildwood Beach police officer after not fully complying with orders. Causing disconcert this memorial weekend in the US are disturbing images of bikini clad woman, Emily Weinman being repeatedly punched in the head by a New Jersey police officer. In a since removed post on Facebook, the Philadelphia based woman insisted she didn’t do anything wrong when she suddenly found herself being ‘restrained’ while suntanning at NJ’s Wildwood Beach. In a 50 second video post (see below as filmed by Lexy @HewittLexy ) which found its ‘viral’ way on social media, an officer can be heard imploring repeatedly, ’stop resisting’. Another officer meanwhile is seen hitting her not once, but twice in the head before body slamming her on her back. ‘I’m not resisting. I didn’t do anything wrong,’ Weinman is heard saying as she kicks her legs at the officers. Just putting it out there I’m only sharing what I saw happen directly in front of me. I am not anti-police I’m just sharing what I saw. Emily Weinman NJ beach punching video: Did one beachgoer push her luck? Flummoxed beachgoers are seen recording the unfolding incident while a baby is heart in the background crying. 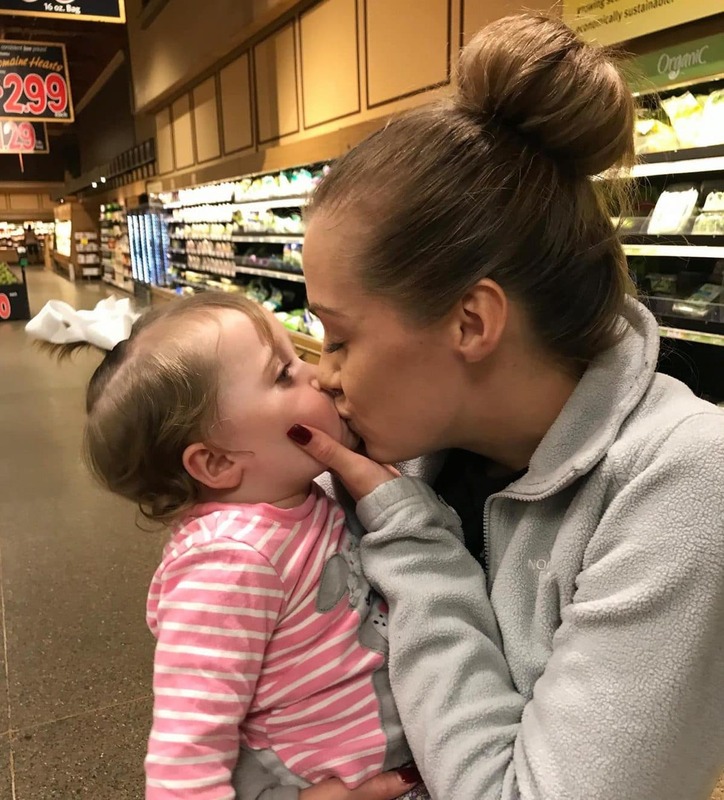 The crying child happened to be Weinman’s 18-month-old daughter who was being held by her father when her mother was arrested. In her initial post, Weinman claims the imbroglio igniting when cops approached her on their four wheelers asking her and her friend for their ages after spotting alcohol near their persons. Posted Weinman at the time, ‘I had alcohol, it’s Memorial Day weekend and 90 per cent of people are underage drinking on the beach, without a doubt’. The pair cooperated with the officers and gave them their ages before getting breathalyzed. Continued the woman’s post, ‘It came back negative. I told them I wasn’t drinking and the alcohol was clearly closed/sealed, which the cops seen’. Weinman said the cops still stayed near them, with one even following her when she walked away to make a phone call. Emily Weinman NJ beach police beating. Emily Weinman pictured with her baby. Image via Facebook. 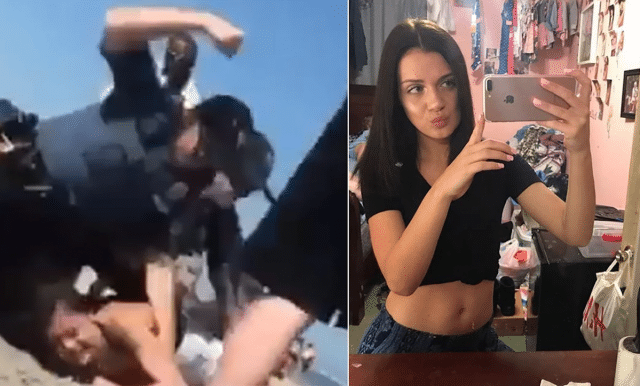 Emily Weinman NJ beach punching: Police going overboard? Weinman said that she didn’t ‘do anything wrong and anything could’ve been written down on that paper so I wouldn’t give it to him’. She said the officers told her that they were going to arrest her despite her telling them that she was at the beach with her young daughter. ‘He told me he’s arresting me and started coming towards me to put handcuffs on me. I cautiously was backing up from him (facing him) and yelled for my daughter’s father,’ Weinman wrote. From there, Weinman said she ‘tripped and fell and the cop tackled me to the ground and smashed my head into the sand’. Weinman said she blacked out and tried to get up and push the officer off of her. Continued Weinman, ‘That’s when he head locked me by [putting] his arm around my neck, punched on me in my head and then he head locked me again but this time choking me, I was gasping for air’. 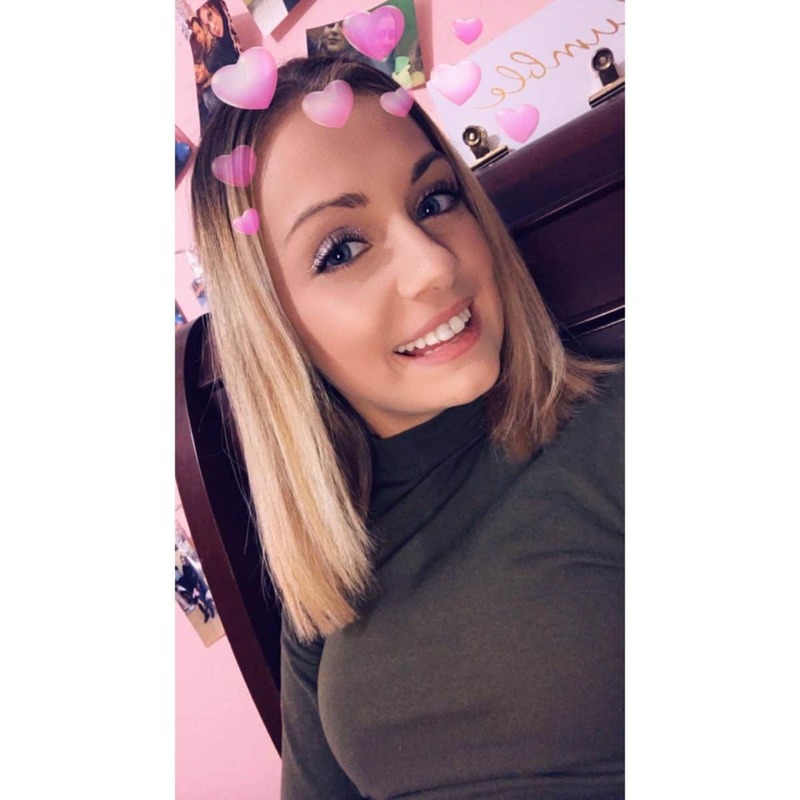 Weinman admitted that she should’ve just given the officer her name to avoid the incident, but ‘the whole situation was iffy and I didn’t trust it’ she said. She also said that she is underage, but she hadn’t been drinking. She said she shared the video because the ‘situation was handled wrongly and blew out of proportion’. Upon being handcuffed, Weinman claimed the officers not bothering to take the beer that was next to her. The woman said she believes police were there just ‘to stir the pot’. The officers in the video are from the Wildwood Police Department. Officials confirmed that the video took place on a beach near East Schellinger Avenue. Wildwood Police come Sunday released a statement (see below) in which the police department said an internal affairs police investigation has since been initiated. Predictably the ‘incident’ has led to debate, with many on social media claiming that Woodward Police went overboard, while others (see below) claimed police had no choice after Weinman refused to obey orders. Which is to wonder at what cost in a civil society? Hurrah for the Wildwood Police Department. Emily Weinman is clearly an entitled princess who had a baby before she was 21 (out of wedlock, I’m guessing, showing lack of morals, IMO) and who thinks she can do what she wants, where she wants. She is NOT a victim. Reading up on Emily Weinman. No grown woman would act as she did. She claimed that underage people were drinking on the beach, not realizing that underage drinking is a serious crime. Her actions and choices justified the cops’ actions. I support @WildwoodPD (past resident). Emily Weinman is also a preferred hawt bixch. Image via Facebook.